Thank you, to BiCoastal Media's Kcre Kpod and all the wonderful donors across the Wild Rivers region who donated coats and funds to this year's Coats for Kids campaign. Brookings-Harbor School District received coats in sizes that will fit homeless students and other students in need from elementary to high school. 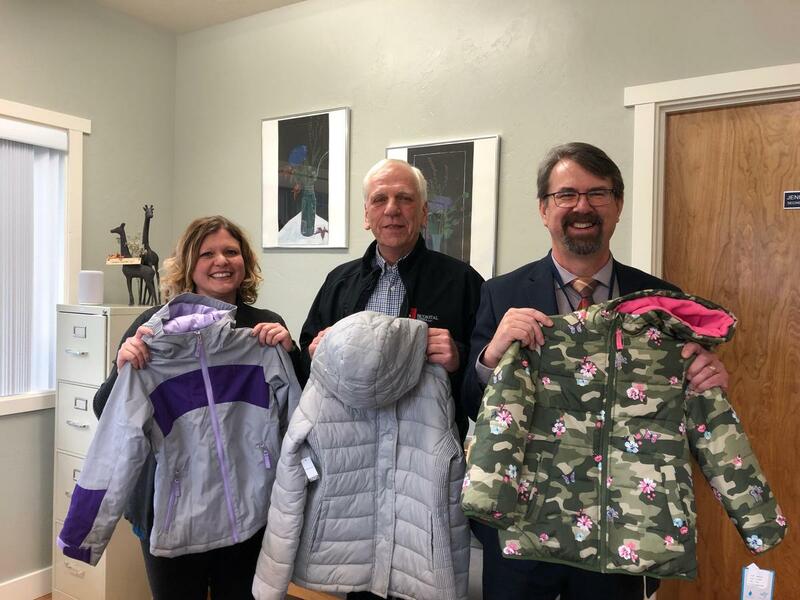 Photo: From left to right, Brooking-Harbor School District Director of Special Programs Angela Crum, BiCoastal Media General Manager Larry Timpe, and BHSD Superintendent Sean Gallagher show off a few of the donated coats at the district office on Wednesday, Jan. 9.